Obtaining quality medical care on short notice can be very frustrating, especially when you or a member of your family is ill or injured. Often times your regular health care provider is unable to see you on short notice making an uncomfortable situation even more difficult. The Charter Oak Walk-In Medical Care Center recognizes this and is available seven days a week to help you with your medical needs. Learn how to last longer in bed. Our staff of five clinicians is ready to help with most non-life threatening medical concerns from routine physical examinations to caring for minor lacerations and sprains to diagnosing fractures. Our on-site X-ray and laboratory facilities mean no more driving from place to place to complete any required tests and your results are obtained more quickly. We participate with many insurance plans and HMOs'. We also handle most Worker's Compensation cases, including DOT, Immigration exams and discussions about weight loss programs like the Nutrisystem program for weight loss. For a detailed map showing our exact location click here. Our normal business hours are Monday through Friday 8am to 7pm. On Saturday we are open from 9:00 am to 4:00 pm and from 12:30 pm to 4:00 pm on Sunday. We ask that patients register no later than an hour prior to the scheduled closing times so that their evaluations may be completed in a timely fashion. During inclement winter storms it is best to call first to be sure the weather has not required any adjustment in our hours. Patients who find it easier to schedule an appointment may do so by calling us at (860) 739-6953. All scheduled patients are asked to arrive about 15 minutes prior to their actual appointment times in order to register and complete any preliminary testing which may be necessary. You can reach us at the number below or by fax at (860) 739-2523. If you have any questions concerning the care or services available at our facility please contact Kim Kvist, the Practice Manager. Charter Oak Medical Walk-In Center provides Occupational Services for employers and their employees in our expanded facility in East Lyme, CT. We understand the need employers have to provide competent prompt, and efficient medical care for their employees while controlling costs and maintaining a complete work force. The Staff of the Charter Oak Walk-In Medical Center are committed to helping employers achieve this delicate balance. For many years employers have had no alternatives to providing care for their employees other than the local emergency room. Their employees found themselves waiting for long periods of time only to be treated by a provider with no Occupational Health experience. This lack of experience and understanding leads to extended periods of absence from work and the associated lost productivity of the employee. At Charter Oak Walk-In Medical Center our providers have extensive experience with all phases of Occupational Medicine from the Post-Offer physicals to drug testing to acute care for the injured or ill employee. We are committed to providing the best care while at the same time returning the employee to an appropriate level of modified duty or regular duty at the earliest and safest point. Our Post-Offer physical can be customized for an employers' particular needs and is designed to identify those applicants whose medical history and exam is most compatible with the physical demands of the position they are seeking. This screening is particularly useful in reducing an employer's cost by insuring the applicant is physically suited for a specific task, and thereby limiting compensation costs for needless injuries. For the ill or injured employee, on-site x-ray and laboratory facilities as well as laceration repair, mean no more long waits in an Emergency Department and a faster return to work. Our Case Manager is a liaison between the company, employee, employer, and the medical provider and is ready and willing to answer any questions you may have concerning the care of Occupational injuries and illnesses. The entire staff at the Charter Oak Walk-In Medical Center is committed to helping you reduce the costs of providing quality care in a positive environment to all of your employees. We welcome the opportunity to discuss our services and answer any questions you may have. After graduating from University of Massachusetts, Boston, Dr. Albrecht worked in research at Tufts University Medical School and at Boston University School of Medicine. 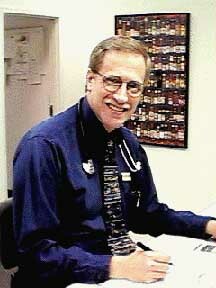 He attended Boston University School of Medicine on a Navy scholarship and graduated in 1977. Internship and residency in OB GYN were completed at the National Naval Medical Center in Bethesda, Maryland. He was Chief of OB GYN at Patuxent River Naval Hospital and was awarded the U.S. Navy Achievement Medal for his outstanding work there. He finished his Naval tour on the staff at the Naval Hospital in Groton, CT. Upon leaving the Navy in 1986, Dr. Albrecht's medical career and goals turned toward primary care and the general practice of Medicine. As one of the original founders of Charter Oak Walk-In Medical Center, P.C., he has devoted his time and expertise in primary care at this facility since its establishment in 1988. Dr. Beason specializes in Family Medicine, a branch of Medicine that concentrates on Primary Care and the prevention of illness and disease. Dr. Beason graduated from the U.S. Coast Guard Academy in 1970 and remained in the Coast Guard as a Line Officer. After making the decision to change careers he entered Medical School at the University of Texas at Galvaston where he graduated in 1981. After sucessful completion of a three year Residency in Family Medicine in 1984, Dr. Beason returned to the Coast Guard Academy in New London where he worked as a Medical Officer and Flight Surgeon. He joined the Charter Oak Medical Center in 1990. Dr. Beason and his wife, Margreet, moved to Waterford, CT in 1985 where they live with their two children, Mathew and Lindsay. Among the activities Dr.Beason enjoys outside the office include sailing and cycling. Geoff graduated from the University of Connecticut with a B achelor of Arts degree. After working as a professional photographer for a few years, he made a career change and attended Bowman Gray School of Medicine in Winston-Salem, North Carolina. After graduating in 1982, Geoff returned to Connecticut where he worked for five years in Industrial Medicine at the Electric Boat Division of General Dynamics in Groton, Connecticut. From there Geoff worked in several Emergency Departments around the state before joining the Charter Oak Medical Walk-In Center in 1995. His special interests include laceration repair and Occupational Medicine. Outside of work, Geoff enjoys a variety of interests including sailing, two black Labs, tennis, racquetball,computers, and photography. Many of Geoff's photographs can be seen in the exam rooms and in other areas of the clinic. Mr. Cullen graduated and received his PA training at Duke Univers ity. He has subsequently completed his masters degree from the University of Nebraska College of Medicine, with a specialty in family medicine. Mr. Cullen served for twenty years with the U.S. Coast Guard. Including two tours at the Coast guard Academy in New London, where he was actively involved with sports medicine. His focus is primary care. 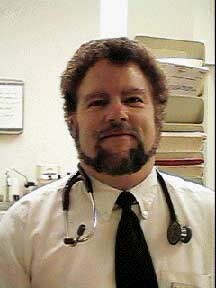 Dr. Welsch has been doing Primary Care and Emergency Medicine for over 20 years. In 1977 he graduated from Northwestern University Medical School and did a year of Primary Care training as a rotating intern at Oakland Naval Regional Medical Center. He then received additional training at the Naval Undersea Medical Institute in Diving Medicine, Occupational Medicine as well as several aspects of Sports Related Iinjuries. In 1987 the Navy chose a Graduate Medical Training at Toronto General Hospital in Toronto, Canada. He has served at various positions in the Navy including Director of Primary Care and Emergency Medicine Services, Director of Medical Services and Chairman of the Medical Staff at Groton Naval Hospital. He is board certified in Emergency Medicine and a Fellow of both the American Academy of Family Practice and American College of Emergency Medicine. Dr. Welsch has maintained his interest in primary care and integrated where indicated clinical alternative medicine especially the use of herbs, minerals, and nutrition into maintenance of patient health and treatment of disease. 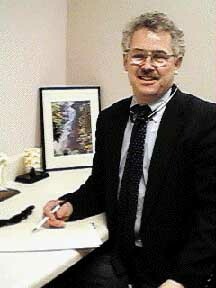 Dr. Welsch has lived in Mystic, CT with his family since 1979. His interests outside of medicine include jogging, canoeing, tennis, and basketball.